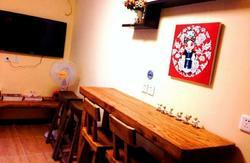 A children and family friendly boutique hutong traditional house, run by the professional team who were the No.1 winner in 2007 all around China, voted by all hostelworld customers! Beijing Templeside Deluxe is a 'Si He Yuan'（a compound with houses around a square courtyard）hotel in a comfortable pure Chinese style with Qing dynasty characteristics．There are seven guest rooms and a beautiful covered courtyard as a multi-function hall．All rooms have air conditioning, heaters, free internet, phone, TV, and even a ice fridge. NB: dorm is only open to students and youth below 28 yrs old. 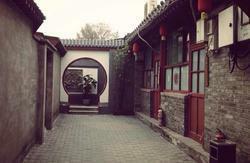 Living here can help you get the best understanding of Beijing's real hutong life. You could never get the same feeling and traveling experience from somewherelse. Templeside will give you 'a glimpse of what life in the city is really like'. 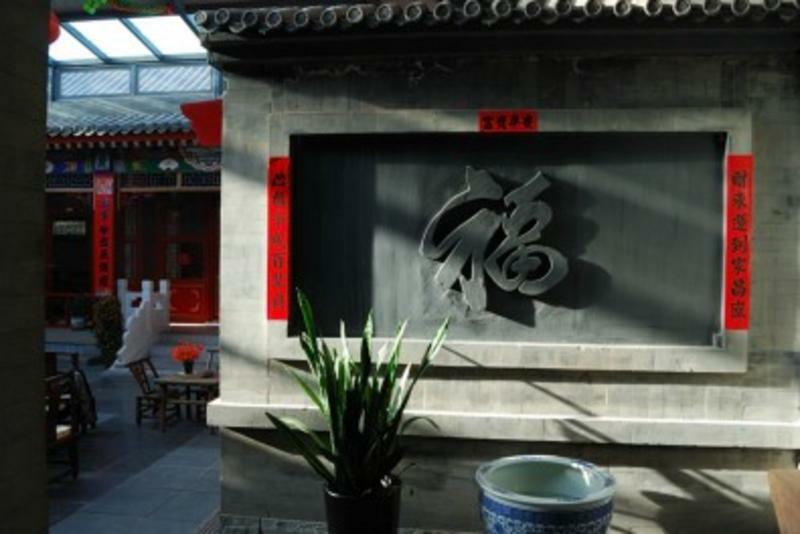 The hotel located in the center of Beijing. It is about 30 mins walking to the Forbidden city, Bei Hai park, Tian An Men and most important sightseeing places. Over 20 buses and subway around the hotel make all traveling very easy. The Templeside Deluxe house is just behind the Bai Ta Temple (white pagoda temple) which is the one of the landmarks of the city center. In the alley named An Ping Xiang, you can find the Templeside House No.2 and then the deluxe house is just 2 mins walking further. From the airport, you can also take the airport expree train to Dong Zhi Men then change subway line 2 to Fu Cheng Men, then out from exit B, then walking to the east along the Fu Cheng Men Nei street, then after about 10 mins walking, turn left at Zhao Deng Yu road crossing, and walking 2 mins then you can find An Ping Xiang alley at the left side. From the Beijing central railway station, just take the subway and get off at Fu Cheng Men station. Going out of the station at exit B, then heading to the east along the Fu Cheng Men Nei Da Jie (street), passing the famous Bai Ta Temple (white pagoda temple), turning left at the traffic light and keep walking along Zhao Deng Yu Lu (road) for 3 minutes, you will find a wide Hu tong named An Ping Xiang just on the left side of the street. From the Beijing West railway station, please take bus 623 to the 'Bai Ta Si' stop. Heading west along the Fu Cheng Men Nei Da Jie and turning right to Zhao Deng Yu Road at the traffic light. 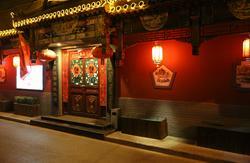 After around 3 minutes walking , then you will find a alley named An Ping Xiang on the west wide of the road.